Following Election Day, Brevard College Professor of Ecology and Environmental Studies Robert J. Cabin will discuss the challenges of using ‘science-based’ policies to solve problems and resolve political and philosophical differences. A dinner at 5:30 p.m. will precede the program, which begins at 6:30 p.m. at the Unitarian Universalist’s of Transylvania County, 24 Varsity St. Both are free and open to the public. Cabin’s talk, “Oil and Water: The Challenge of Mixing Science and Politics,” is part of the UU Wonderful Wednesday series. 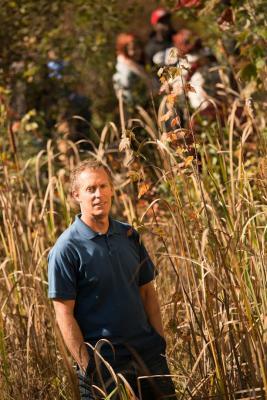 Cabin has been on the faculty at Brevard College since 2005 and coordinates the College’s Environmental Studies major. Before coming to Brevard, he taught at Kenyon College and The State University of New York at Plattsburgh. After graduate school, Cabin lived and worked in Hawaii as a Post-Doctoral Fellow in Restoration Ecology at the National Tropical Botanical Garden and as a Research Ecologist for the US Forest Service. Join the Facebook event by clicking here.